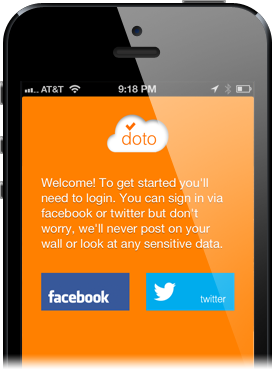 With doto, your data is safely stored in the cloud. 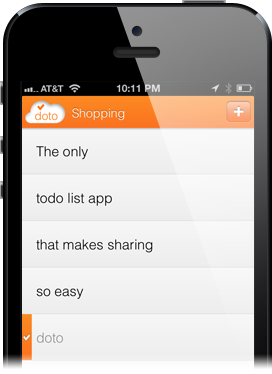 So you can access your dotolists from any device with doto installed. Of course, you can still access your lists offline and synchronize once you get connected again. You can invite multiple friends to share any list. Use it to track the items you need for your next family camping trip, gift ideas for the kids, items for your business idea with your colleague or just a good old shopping list with your partner. 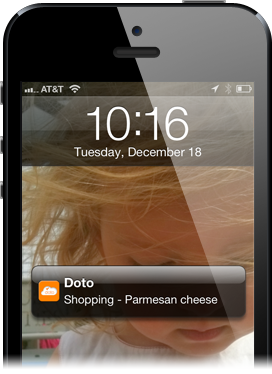 doto respects your privacy. For your convenience, you can sign in via your facebook or twitter account. We only use this to log you in to our system and we never pry into your private biz or post to your wall.